Coolest 1894 REG. NO. ever! 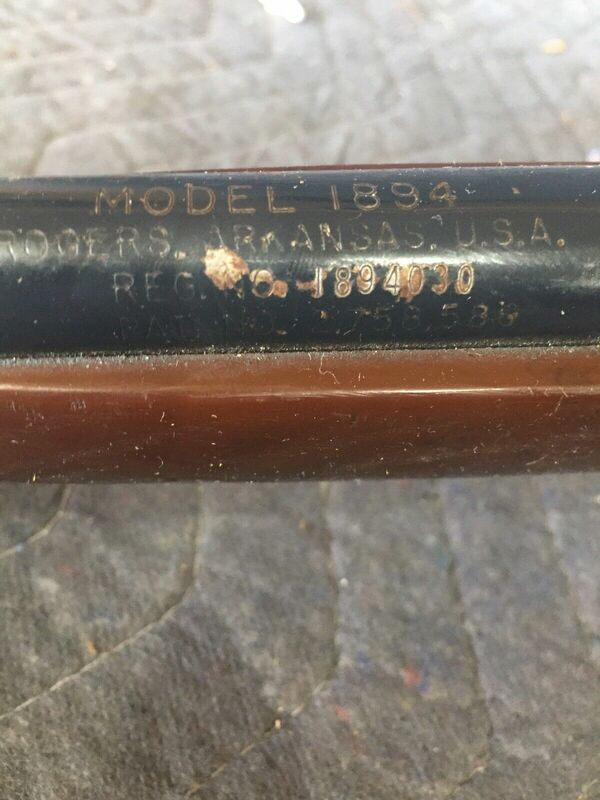 Quote Reply Topic: Coolest 1894 REG. NO. ever! When I saw the REG. NO. on this beater, I did a double take. That is very cool. That poor neglected thing might make for a restoration do to the REG. NO. That is cool, indeed, Mark. Very observant of you. Are you bidding on that one?? No, I'm not bidding on it. I'm just in the habit of looking at the REG. or LOT numbers from when I was putting info together on the 880 and I find myself still doing it! In case anyone was wondering, the first symbol is the letter "I". But because of the font Daisy used, it looks just like a number 1. And is probably why they quit using the letter I when they went to a user-decipherable number to date the guns in the early '70s. Haha, yep- you got it!